Routine post-operative splinting of the wrist after the carpal tunnel release procedure showed no long-term difference in range of motion, grip or lateral pinch strength. In addition, the research showed no difference in wound complication rates. 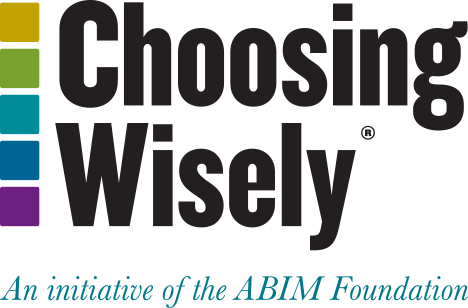 The American Academy of Orthopaedic Surgeons (AAOS) is proud to be a partner in the Choosing Wisely® campaign. As the premier provider of education for orthopaedic surgeons and allied health professionals, the Academy champions the interests of patients and advances the highest quality of bone and joint health. The more than 37,000 orthopaedic surgeon members aim to increase people’s quality of life by improving mobility, reducing pain and returning patients to their jobs and hobbies. 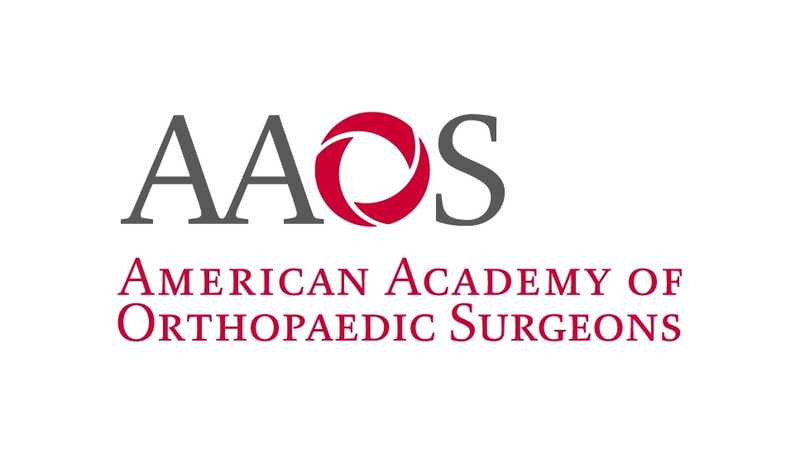 The AAOS has been a leader in developing quality improvement and safety programs—from the “Sign Your Site” campaign aimed at eliminating wrong-site surgery to the introduction of evidence-based clinical practice guidelines and appropriate use criteria to enhance the diagnosis and treatment of musculoskeletal conditions. By partnering in the Choosing Wisely campaign, the AAOS hopes to facilitate dialogue between patients and physicians about appropriately using diagnostic and therapeutic interventions and avoiding those that are unnecessary. The American Academy of Orthopaedic Surgeons (AAOS) routinely develops evidence-based clinical practice guidelines as valuable tools to advance the physician-patient communications process and enhance the diagnosis and treatment of musculoskeletal conditions. AAOS physician volunteer work groups develop evidence-based clinical practice guidelines to serve as an educational tool based on an assessment of the current scientific and clinical information and accepted approaches to treatment. The most recent approved clinical practice guidelines have been published in the Journal of Bone and Joint Surgery. AAOS staff, led by the medical director, conducted a review of the approved clinical practice guidelines previously developed by the work groups and selected a variety of topics frequently used in orthopaedic surgical practice. After input from the orthopaedic specialty society leaders and approval from the AAOS Presidential Leadership and Board of Directors, the final five topics were selected for this campaign. The AAOS disclosure and conflict of interest policy can be found at www.aaos.org. Abraham P, Ternisien C, Hubert L, Pidhorz L, Saumet JL. Does venous microemboli detection add to the interpretation of D-dimer values following orthopedic surgery? Ultrasound Med Biol. 1999;25(4):637-40. American Academy of Orthopaedic Surgeons. Clinical Practice Guideline on Preventing Venous Thromboembolic Disease in Patients Undergoing Elective Hip and Knee Arthroplasty. Rosemont (IL): American Academy of Orthopaedic Surgeons, 2011 Sep. Available from: http://www.aaos.org/research/guidelines/VTE/VTE_full_guideline.pdf. Bounameaux H, Miron MJ, Blanchard J, de Moerloose P, Hoffmeyer P, Leyvraz PF. Measurement of plasma D-dimer is not useful in the prediction or diagnosis of postoperative deep vein thrombosis in patients undergoing total knee arthroplasty. Blood Coagul Fibrinolysis. 1998;9(8):749-52. Ciccone WJ II, Fox PS, Neumyer M, Rubens D, Parrish WM, Pellegrini VD Jr. Ultrasound surveillance for asymptomatic deep venous thrombosis after total joint replacement. J Bone Joint Surg Am. 1998;80(8):1167-74. Davidson BL, Elliott CG, Lensing AW, The RD Heparin Arthroplasty Group. Low accuracy of color Doppler ultrasound in the detection of proximal leg vein thrombosis in asymptomatic high-risk patients. Ann Intern Med. 1992;117(9):735-8. Garino JP, Lotke PA, Kitziger KJ, Steinberg ME. Deep venous thrombosis after total joint arthroplasty: the role of compression ultrasonography and the importance of the experience of the technician. J Bone Joint Surg Am. 1996;78(9):1359-65. Larcom PG, Lotke PA, Steinberg ME, Holland G, Foster S. Magnetic resonance venography versus contrast venography to diagnose thrombosis after joint surgery. Clin Orthop Relat Res. 1996;(331):209-15. Lensing AW, Doris CI, McGrath FP, Cogo A, Sabine MJ, Ginsberg J, Prandoni P, Turpie AG, Hirsh J. A comparison of compression ultrasound with color Doppler ultrasound for the diagnosis of symptomless postoperative deep vein thrombosis. Arch Intern Med. 1997;157(7):765-8. Mont MA, Jacobs JJ, Boggio LN, Bozic KJ, Della Valle CJ, Goodman SB, Lewis CG, Yates AJ, Watters WC, Turkelson CM, Wies JL, Donnelly P, Patel N, Sluka P. AAOS clinical practice guideline summary preventing venous thromboembolic disease in patients undergoing elective hip and knee arthroplasty. JAAOS. 2011Dec;19(12):768–76. Niimi R, Hasegawa M, Sudo A, Shi D, Yamada T, Uchida A. Evaluation of soluble fibrin and D-dimer in the diagnosis of postoperative deep vein thrombosis. Biomarkers. 2010;15(2):149-57. Pellegrini VD Jr, Donaldson CT, Farber DC, Lehman EB, Evarts CM. The John Charnley Award: prevention of readmission for venous thromboembolic disease after total hip arthroplasty. Clin Orthop Relat Res. 2005;441:56-62. Pellegrini VD Jr, Donaldson CT, Farber DC, Lehman EB, Evarts CM. The Mark Coventry Award: prevention of readmission for venous thromboembolism after total knee arthroplasty. Clin Orthop Relat Res. 2006;452:21-7. Robinson KS, Anderson DR, Gross M, Petrie D, Leighton R, Stanish W, Alexander D, Mitchell M, Flemming B, Gent M. Ultrasonographic screening before hospital discharge for deep venous thrombosis after arthroplasty: the post-arthroplasty screening study. A randomized, controlled trial. Ann Intern Med. 1997 Sep 15;127(6):439-45. Schmidt B, Michler R, Klein M, Faulmann G, Weber C, Schellong S. Ultrasound screening for distal vein thrombosis is not beneficial after major orthopedic surgery. A randomized controlled trial. Thromb Haemost. 2003;90(5):949-54. Westrich GH, Schneider R, Ghelman B, et al. Comparison between color Doppler imaging and ascending venography in the detection of deep venous thrombosis following total joint arthroplasty: a prospective study. Contemp Surg 1997;51:225-34. American Academy of Orthopaedic Surgeons. Clinical Practice Guideline on the Treatment of Osteoarthritis of the Knee (Non-Arthroplasty). Rosemont (IL): American Academy of Orthopaedic Surgeons. 2008 Dec. Available from: http://www.aaos.org/research/guidelines/OAKguideline.pdf. Arden NK, Reading IC, Jordan KM, Thomas L, Platten H, Hassan A, Ledingham J. A randomised controlled trial of tidal irrigation versus corticosteroid injection in knee osteoarthritis: the KIVIS Study. Osteoarthritis Cartilage. 2008;16(6):733-39. Bradley JD, Heilman DK, Katz BP, Gsell P, Wallick JE, Brandt KD. Tidal irrigation as treatment for knee osteoarthritis: a sham-controlled, randomized, double-blinded evaluation. Arthritis Rheum. 2002;46(1):100-8. Chang RW, Falconer J, Stulberg SD, Arnold WJ, Manheim LM, Dyer AR. A randomized, controlled trial of arthroscopic surgery versus closed-needle joint lavage for patients with osteoarthritis of the knee. Arthritis Rheum. 1993;36:289-96. Dawes PT, Kirlew C, Haslock I. Saline washout for knee osteoarthritis: results of a controlled study. Clin Rheumatol. 1987;6:61-3. Ike RW, Arnold WJ, Rothschild EW, Shaw HL. Tidal irrigation versus conservative medical management in patients with osteoarthritis of the knee: a prospective randomized study. Tidal Irrigation Cooperating Group. J Rheumatol. 1992;19:772-9. Richmond J, Hunter D, Irrgang J, Jones MH, Levy B, Marx R, Snyder-Mackler L, Watters WC, Haralson RH, Turkelson CM, Wies JL, Boyer KM, Anderson S, St Andre J, Sluka P, McGowan R; American Academy of Orthopaedic Surgeons. Treatment of osteoarthritis of the knee (nonarthroplasty), JAAOS. 2009;17(9):591–600. Vad VB, Bhat AL, Sculco TP, Wickiewicz TL. Management of knee osteoarthritis: knee lavage combined with hylan versus hylan alone. Arch Phys Med Rehabil. 2003;84(5):634-7. American Academy of Orthopaedic Surgeons. Clinical Practice Guideline on the Treatment of Osteoarthritis of the Knee (Non-Arthroplasty). Rosemont (IL): American Academy of Orthopaedic Surgeons, 2008 Dec. Available from: http://www.aaos.org/research/guidelines/OAKguideline.pdf. Altman RD, Marcussen KC. Effects of a ginger extract on knee pain in patients with osteoarthritis. Arthritis Rheum. 2001;44(11):2531-8. Bourgeois P, Chales G, Dehais J, Delcambre B, Kuntz JL, Rozenberg S. Efficacy and tolerability of chondroitin sulfate 1200mg/day versus chondroitin sulfate 3 x 400 mg/day versus placebo. Osteoarthritis Cartilage. 1998;6 Suppl A:25-30. Bucsi L, Poor G. Efficacy and tolerability of oral chondroitin sulfate as a symptomatic slow-acting drug for osteoarthritis (SYSADOA) in the treatment of knee osteoarthritis. Osteoarthritis Cartilage. 1998;6 Suppl A:31-6. Cibere J, Kopec JA, Thorne A, Singer J, Canvin J, Robinson DB, Pope J, Hong P, Grant E, Esdaile JM. Randomized, double-blind, placebo-controlled glucosamine discontinuation trial in knee osteoarthritis. Arthritis Rheum. 2004;51(5):738-45. Clegg DO, Reda DJ, Harris CL, Klein MA, O’Dell JR, Hooper MM, Bradley JD, Bingham CO, Weisman MH, Jackson CG, Lane NE, Cush JJ, Moreland LW, Schumacher HR, Oddis CV, Wolfe F, Molitor JA, Yocum DE, Schnitzer TJ, Furst DE, Sawitzke AD, Shi H, Brandt KD, Moskowitz RW, Williams HJ. Glucosamine, chondroitin sulfate, and the two in combination for painful knee osteoarthritis. N Engl J Med. 2006;354(8):795-808. Das A, Hammad TA. Efficacy of a combination of FCHG49 glucosamine hydrochloride, TRH122 low molecular weight sodium chondroitin sulfate and manganese ascorbate in the management of knee osteoarthritis. Osteoarthritis Cartilage. 2000;8(5):343-50. Giordano N, Fioravanti A, Papakostas P, Montella A, Giorgi G, Nuti R. The efficacy and tolerability of glucosamine sulfate in the treatment of knee osteoarthritis: a randomized, double-blind, placebo-controlled trial. Curr Ther Res Clin Exper. 2009;70:185-96. Houpt JB, McMillan R, Wein C, Paget-Dellio SD. Effect of glucosamine hydrochloride in the treatment of pain of osteoarthritis of the knee. J Rheumatol. 1999;26(11):2423-30. Hughes R, Carr A. A randomized, double-blind, placebo-controlled trial of glucosamine sulphate as an analgesic in osteoarthritis of the knee. Rheumatology. 2002;41(3):279-84. Kahan A, Uebelhart D, De Vathaire F, Delmas PD, Reginster JY. Long-term effects of chondroitins 4 and 6 sulfate on knee osteoarthritis: the study on osteoarthritis progression prevention, a two-year, randomized, double-blind, placebo-controlled trial. Arthritis Rheum. 2009;60(2):524-33. Mazieres B, Combe B, Phan VA, Tondut J, Grynfeltt M. Chondroitin sulfate in osteoarthritis of the knee: a prospective, double blind, placebo controlled multicenter clinical study. J Rheumatol. 2001;28(1):173-81. Mazieres B, Hucher M, Zaim M, Garnero P. Effect of chondroitin sulphate in symptomatic knee osteoarthritis: a multicentre, randomised, double-blind, placebo-controlled study. Ann Rheum Dis. 2007;66(5):639-45. McAlindon T, Formica M, Lavalley M, Lehmer M, Kabbara K. Effectiveness of glucosamine for symptoms of knee osteoarthritis: results from an internet-based randomized double-blind controlled trial. Am J Med. 2004;117(9):643-9. Moller I, Perez M, Monfort J, Benito P, Cuevas J, Perna C, Domenech G, Herrero M, Montell E, Verges J. Effectiveness of chondroitin sulphate in patients with concomitant knee osteoarthritis and psoriasis: a randomized, double-blind, placebo-controlled study. Osteoarthritis Cartilage. 2010 Jun 18;Suppl 1:S32-40. Noack W, Fischer M, Forster KK, Rovati LC, Setnikar I. Glucosamine sulfate in osteoarthritis of the knee. Osteoarthritis Cartilage. 1994;2(1):51-59. Pavelka K Jr., Sedlackova M, Gatterova J, Becvar R, Pavelka K Sr. Glycosaminoglycan polysulfuric acid (GAGPS) in osteoarthritis of the knee. Osteoarthritis Cartilage. 1995;3(1):15-23. Pavelka K, Coste P, Geher P, Krejci G. Efficacy and safety of piascledine 300 versus chondroitin sulfate in a 6 months treatment plus 2 months observation in patients with osteoarthritis of the knee. Clin Rheumatol. 2010;29(6):659-70. Rai J, Pal SK, Gul A, Senthil R, Singh H. Efficacy of chondroitin sulfate and glucosamine sulfate in the progression of symptomatic knee osteoarthritis: a randomized, placebo-controlled, double blind study. Bull Postgrad Inst Med Ed Res Chandigarh. 2004;38(1):18-22. Rindone JP, Hiller D, Collacott E, Nordhaugen N, Arriola G. Randomized, controlled trial of glucosamine for treating osteoarthritis of the knee. West J Med. 2000;172(2):91-4. Samson DJ, Grant MD, Ratko TA, Bonnell CJ, Ziegler KM, Aronson N. Treatment of primary and secondary osteoarthritis of the knee. Rockville (MD): Agency for Healthcare Research and Quality. 2007 Sep 1; Report No. 157. Tao QW, Xu Y, Jin DE, Yan XP. Clinical efficacy and safety of Gubitong Recipe in treating osteoarthritis of knee joint. Chin J Integr Med. 2009;15(6):458-61. Trc T, Bohmova J. Efficacy and tolerance of enzymatic hydrolysed collagen (EHC) versus glucosamine sulphate (GS) in the treatment of knee osteoarthritis (KOA). Int Orthop. 2011;35:341-8. Uebelhart D, Malaise M, Marcolongo R, De Vathaire F, Piperno M, Mailleux E, Fioravanti A, Matoso L, Vignon E. Intermittent treatment of knee osteoarthritis with oral chondroitin sulfate: a one-year, randomized, double-blind, multicenter study versus placebo. Osteoarthritis Cartilage. 2004;12(4):269-76. Zakeri Z, Izadi S, Bari Z, Soltani F, Narouie B, Ghasemi-Rad M. Evaluating the effects of ginger extract on knee pain, stiffness and difficulty in patients with knee osteoarthritis. J Med Plant Res. 2011;5(15):3375-9. Baker K, Goggins J, Xie H, Szumowski K, Lavalley M, Hunter DJ, Felson DT. A randomized crossover trial of a wedged insole for treatment of knee osteoarthritis. Arthritis Rheum. 2007;56(4):1198-203. Bennell KL, Bowles KA, Payne C, Cicuttini F, Williamson E, Forbes A, Hanna F, Davies-Tuck M, Harris A, Hinman RS. Lateral wedge insoles for medial knee osteoarthritis: 12 month randomized controlled trial. BMJ. 2011;342:d2912. Brouwer RW, Jakma TS, Verhagen AP, Verhaar JA, Bierma-Zeinstra SM. Braces and orthoses for treating osteoarthritis of the knee. Cochrane Database Syst Rev. 2005;1:CD004020. Maillefert JF, Hudry C, Baron G, Kieffert P, Bourgeois P, Lechevalier D, Coutaux A, Dougados M. Laterally elevated wedged insoles in the treatment of medial knee osteoarthritis: a prospective randomized controlled study. Osteoarthritis Cartilage. 2001;9(8):738-45. Nigg BM, Emery C, Hiemstra LA. Unstable shoe construction and reduction of pain in osteoarthritis patients. Med Sci Sports Exerc. 2006;38(10):1701-8. Pham T, Maillefert JF, Hudry C, Kieffert P, Bourgeois P, Lechevalier D, Dougados M. Laterally elevated wedged insoles in the treatment of medial knee osteoarthritis. A two-year prospective randomized controlled study. Osteoarthritis Cartilage. 2004;12(1):46-55. Toda Y, Segal N, Kato A, Yamamoto S, Irie M. Effect of a novel insole on the subtalar joint of patients with medial compartment osteoarthritis of the knee. J Rheumatol. 2001;28:2705-10. Toda Y, Tsukimura N. A comparative study on the effect of the insole materials with subtalar strapping in patients with medial compartment osteoarthritis of the knee. Mod Rheumatol 2004;14(6):459-65. Toda Y, Segal N. Usefulness of an insole with subtalar strapping for analgesia in patients with medial compartment osteoarthritis of the knee. Arthritis Rheum. 2002;47:468-73. Toda Y, Tsukimura N. A six month follow-up of a randomized trial comparing the efficiency of a lateral-wedge insole with subtabalar strapping and in-shoe lateral-wedge insole in patients with varus deformity osteoarthritis of the knee. Arthritis Rheum. 2004;50:3129-36. Toda Y, Tsukimura N. A 2-year follow-up of a study to compare the efficiency of lateral-wedged insoles with subtalar strapping and in-shoe lateral-wedged insoles in patients with varus deformity osteoarthritis of the knee. Osteoarthritis Cartilage. 2006;14:231-7. American Academy of Orthopaedic Surgeons. Management of carpal tunnel syndrome evidence-based clinical practice guideline. Rosemont (IL): American Academy of Orthopaedic Surgeons, published 2016 Feb 29. Available from: www.aaos.org/ctsguideline. Bury TF, Akelman E, Weiss AP. Prospective, randomized trial of splinting after carpal tunnel release. Ann Plast Surg. 1995 Jul;35(1):19-22. Cook AC, Szabo RM, Birkholz SW, King EF. Early mobilization following carpal tunnel release. A prospective randomized study. J Hand Surg [Br]. 1995 Apr;20(2):228-30. Finsen V, Andersen K, Russwurm H. No advantage from splinting the wrist after open carpal tunnel release. A randomized study of 82 wrists. Acta Orthop Scand. 1999 Jun;70(3):288-92. Martins RS, Siqueira MG, Simplicio H. Wrist immobilization after carpal tunnel release: a prospective study. Arq Neuro-Psiquiatr. 2006;64(3 A). Ritting AW, Leger R, O’Malley MP, Mogielnicki H, Tucker R, Rodner CM. Duration of postoperative dressing after mini-open carpal tunnel release: a prospective, randomized trial. J Hand Surg Am. 2012 Jan;37(1):3-8.